Taylor Swift, a pop star with sufficient power to move mountains, succeeded in moving an equally resolute object last year: Apple Music’s position on paying royalties to recording artists. A year later it is unclear if was the musicians, Apple, or Swift who benefited the most. A Wall Street Journal op-ed last week reminded us that there are more important things to cover other than Kardashian/West war of words that the combatants and media are jointly milking. Forbes ranks Swift as the number one celebrity artist in 2016 with $170M in earnings. According to the magazine she is in the top 100 of self-made women and power women. But maybe Swift was at least somewhat motivated by dollars, not sense. After outing Apple Music for refusing to pay artist royalties in a now infamous tumblr post, Swift wound up receiving not one but two spots from the company, promoting their new streaming service. I guess they were more interested in thanking her for the exposure than punishing her for the dis. Both ads went viral generating huge attention for Apple Music and her. Good timing, I guess. 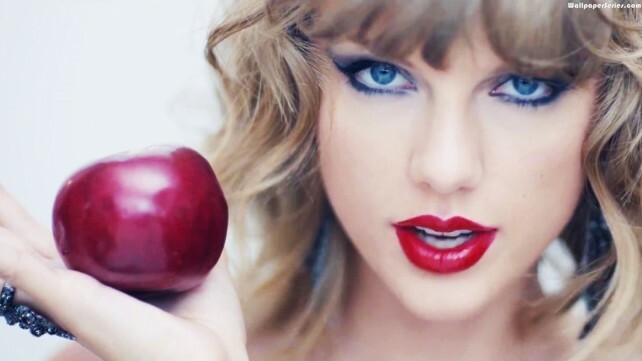 Here is the latest Taylor Swift Apple Music ad, which generated more hits than most TV series (via Fortune). “This may be the ‘information wants to be free’ era, when online content is glibly swiped by millions who would never dream of shoplifting,” said WSJ’s Feith, “but Ms. Swift has a deep appreciation for the profit motive and the fruits it bestows on society. Swift has been known to trademark not song or titles, but phrases from songs which can be used to build her brands and fashion portfolio. I hope that Taylor Swift invents something soon, so she can bring her loyal following and keen business instincts to patents and patent holders. They sure could use them.